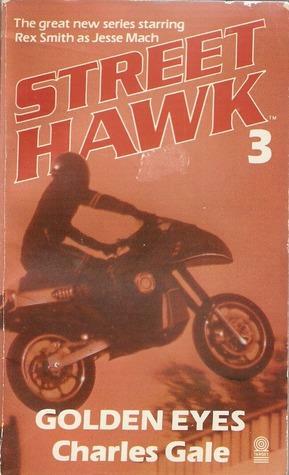 As a kid, I’d seen the Street Hawk series on TV and I use to eagerly wait for it every week. It was one of my favorite shows! So when I came by this book, I was eager to read it. My personal experience is that books give a much fulfilling experience than the movie adaptation or a TV show made out of it. So I hungrily delved into the treat. However, I was a bit disappointed. It felt as if the book didn’t come first, which was made into a TV show, it must have been the other way round. I felt as if I was watching one episode of that show. The second case started in the middle of the book and street hawk solves that case too, not to mention, with style. I liked the characters (all of them) and the premise (the job of the hero, work that other characters do for a living, everything felt quite realistic). I sure would have given this book a rating of 5 if the author had dealt with only one case in this book, or conjoined cases, or intertwined cases, anything. But here, there are two totally different cases and by the middle of the book, I’m pulled out of one intriguing case and plopped into another one, where I have to start using my brain again to solve the mystery before the author reveals it. Not that any of the cases in this book are who-done-it cases, but I like to use my brain nevertheless. By the end of any book I read, I like to savor its taste in my mouth and ponder over it some more. However, with this book, since there were two cases, as soon as I finished reading it, I stopped thinking about the book altogether. I don’t know why it happened, but I guess it may be because it gave me a feeling as if I was watching one episode of the TV show, not reading a book. This entry was posted in Book Reviews, Crime, Fiction, Writer, Writing and tagged Action, Book Reviews, Books, Charles Gale Rating, Crime, reading, Street Hawk, TV show. Bookmark the permalink.